I want to continue where I left off my last post on styling ideas for apartment main doors. 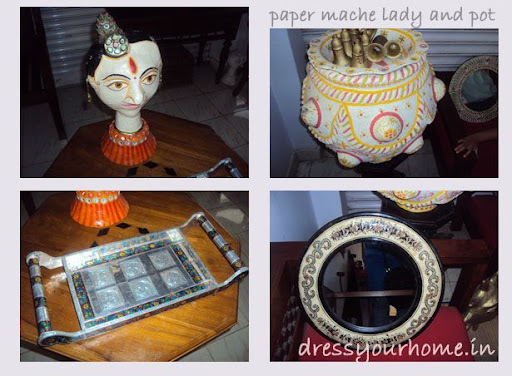 The featured shop stcks many hand-crafted, woven assorted items such as baithaks, mirrors, trays and cushion covers. They are colorful, vibrant and lively almost resonating with positive energy. There is something rustic about them which makes for great accessories. 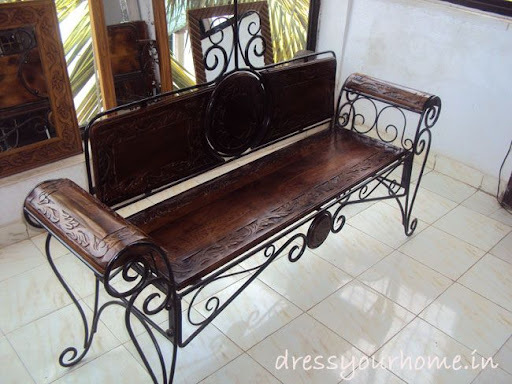 I loved this wooden, wrought-iron bench. 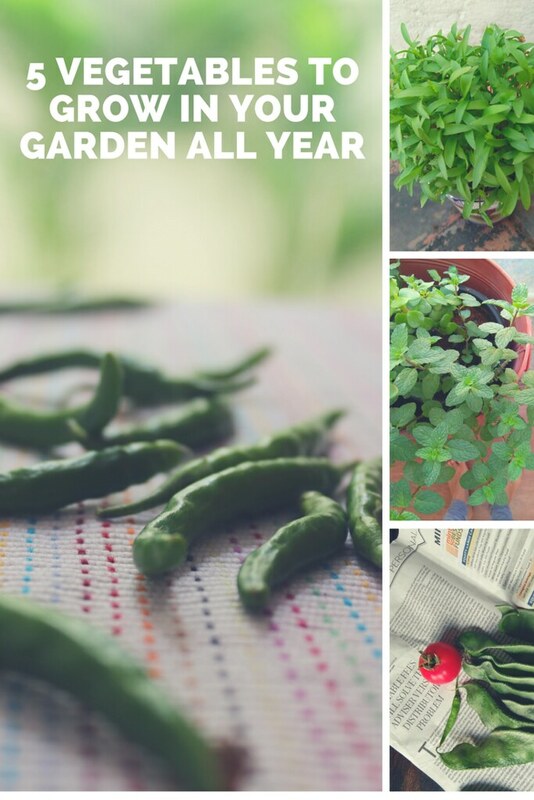 Some day when we have larger garden, this one’s gonna find a place in the patio. 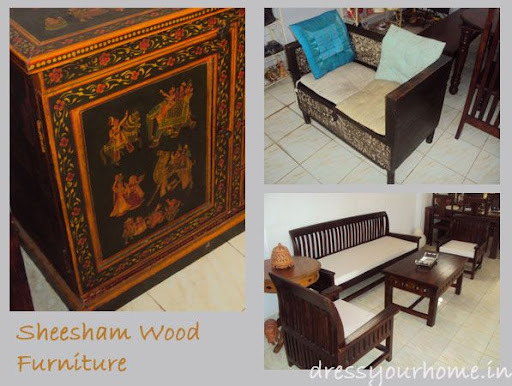 What makes Sheesham wood furniture so expensive than the-otherwise-popular rubberwood, MDF counterparts, is that it is hard (dark) wood, stays longer, weather resistant and doesn’t get infested by termites. I love furniture in dark colors such as rose wood. 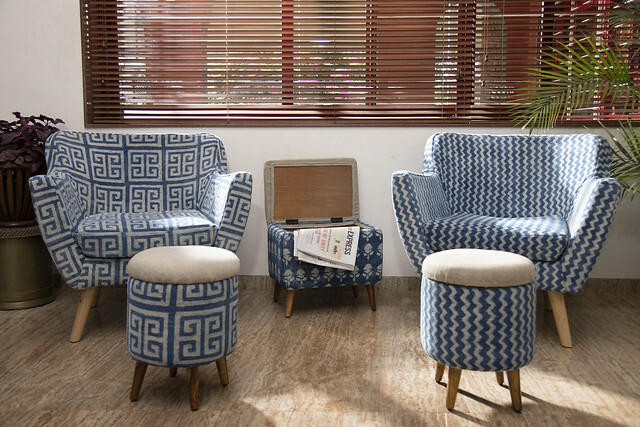 The 3-1-1 seater sofa set sells in excess of Rs.40,000. Don’t go by the picture! The store had only one piece left( a worn out one), but I have to tell you it was very comfortable to sit in to the point that I didn’t want to get up. For one, it is completely made of cotton and hand-embroidered. And, the center is sequined with shells. In all, a nice alternative for casual sitting. The wood & wrought iron bench is looking too good. 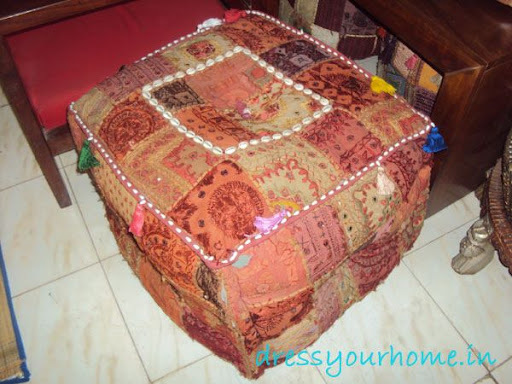 I love that cube pouf!! !